Hello, and welcome to SoundbarReviews.co.uk! 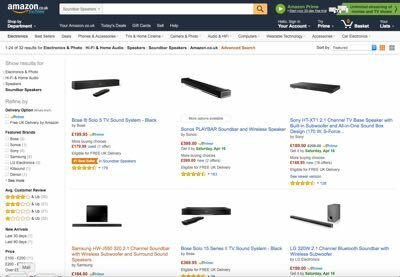 If you’re considering buying a soundbar (or a soundbase) you’ll probably already have found that there are lots on the market, and reviews can be mixed. We’ll do our best to cut through the jargon and tell you which is the best soundbar for your needs, and which ones you should avoid. 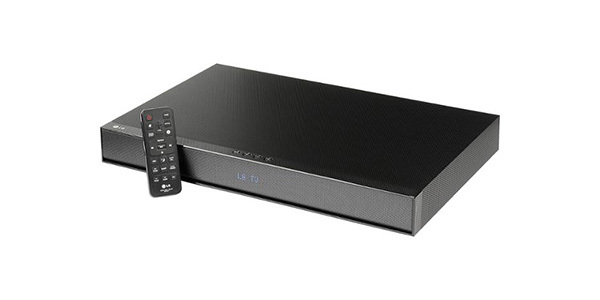 We offer unbiased soundbar reviews, buying guides as well as comparison charts. In addition, we compare prices across all the major online retailers to let you know who’s offering the cheapest deal on the models you want to buy – saving you time and money! 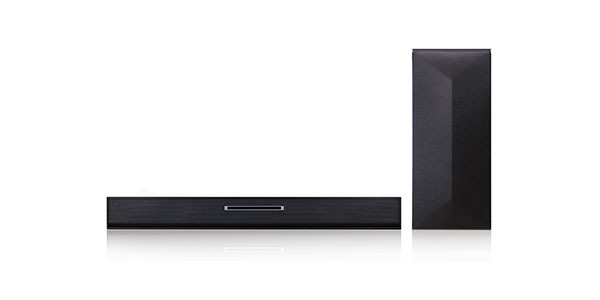 Why do you need a soundbar? We’ve seen some great advances in the technology and design for HD (High Definition) TVs over the last few years. The picture quality has improved, there are tons of new and advanced features and the sets have become increasingly thin. 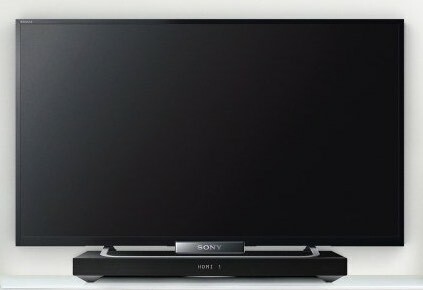 While we have seen all of these advances, one factor that has started to lose out is the sound quality for modern TVs. With the trend going more toward TVs that are thin and as compact as possible, the speakers in TVs have become smaller and this has made for TVs that have amazing screen quality, but less than impressive audio capabilities. To address this issue, many manufacturers are producing sound systems that are specifically designed to improve the sound for an HD TV. If you need a sound system to improve the audio for your TV, then products in the sound bar category could be the perfect solution. With a sound bar, you get a major improvement in sound quality for your home viewing centre and these systems are usually very easy to install and easy to operate. In addition to that, you can find models that come with a wide-range of features to make the unit more versatile. On this site, we review many of the top sound bar models that are currently available and we also offer resource pages that can provide the consumer with more information about sound bars and their features. The goal is to inform consumers to help them make better purchasing decisions. 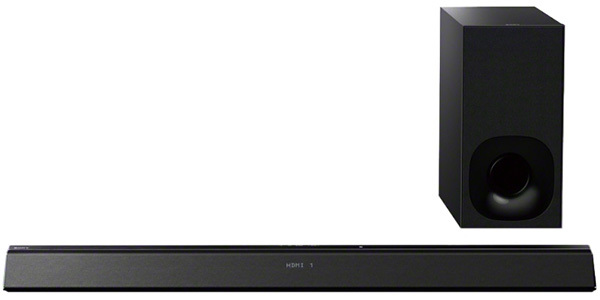 What type of sound bar do you need? At the start of your purchasing journey, you are going to need to figure out which type of sound bar is the best for your situation. For the most part, you can break sound bars down into two basic types. 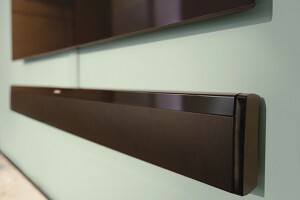 The first is the traditional sound bar, which are the ones that have the bar shaped main enclosure for the speakers (like the Sony model shown above with the speaker bar mounted on a shelf beneath the wall-mounted television), then you have the models that are known as a sound bases (like the Sony model shown below where the TV actually sits on the soundbase like a plinth). The models in the sound base category are designed to act as pedestal for the TV. For the most part, they both operate in the same way and they can both serve the same purpose, but there are some important differences. be ok to place the unit in front of the set. The advantage that the sound base design provides will mostly apply to TVs that are on a stand. Instead of having to find a place for the sound bar in front of the TV, the unit can be placed under the set. This saves on space and it could also help the consumer to avoid problems that may come from the soundbar blocking the remote sensor on the TV. In the process of shopping for a sound bar, consumers will find that they have a lot of options. 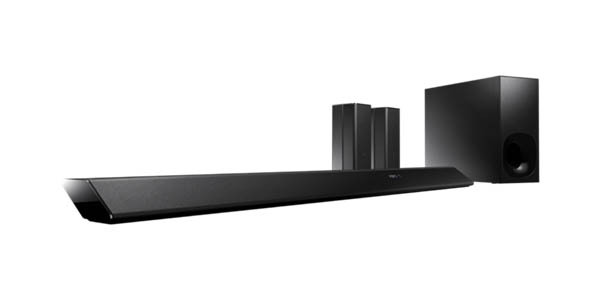 Not only do you have the choice between the sound bar and the sound base design, but systems also come with a range of different design features and additional functions that the consumer may want to consider. Some sound bars are very basic 2-channel systems that just provide an enhanced stereo sound, but then you also have sound bars that come with an array of speakers and additional speaker channels for increased sound quality and features like surround sound. 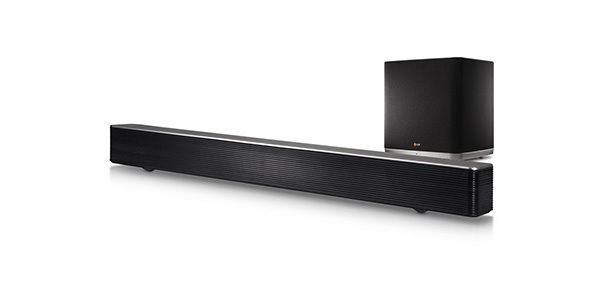 Additionally, you have to consider whether you want a sound bar that comes with a subwoofer (like the LG model shown on the left). 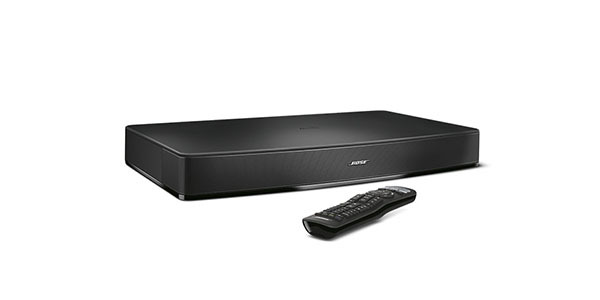 You can find sound bars that have subwoofers integrated right into the main enclosure (like the Bose model shown below) and there are models that have external subwoofers. An external subwoofer may require a little extra work in the installation, but they do tend to be a little more powerful. Along with that, with some models the user will need to run a wire for the subwoofer, but there are also models where the subwoofer connects wirelessly with the system. Beyond the speakers and the option of a subwoofer, there could be a range of additional features to consider. Many systems come with Bluetooth for streaming music and some may be compatible with wireless speakers for expanding the system. As a consumer, you can just choose to get a basic sound bar for enhancing the sound on your TV, but many of the extra features can be great for making the system more versatile or easier to use. 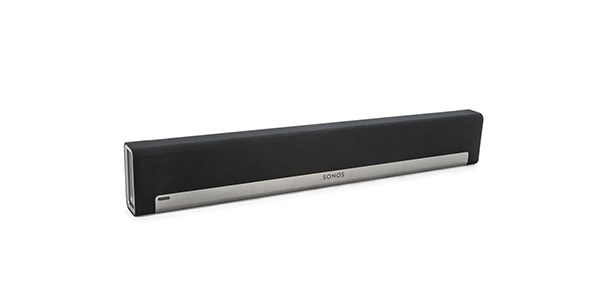 To learn more about some of the features that could be available, check out our guide to sound bar features. With sound bars, the question of price can vary depending on things like your budget, the quality of the sound bar and the features that you want the unit to come with. There are some low priced models out there, but they are not going to have the same kind of sound quality or features that you would expect at the higher end of the range. 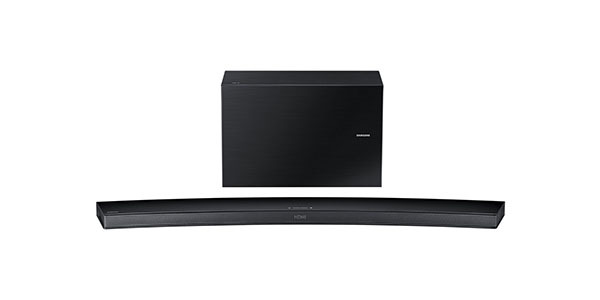 You certainly could find a cheap sound bar for less than £70, but if you want an upgrade in sound that is truly noticeable, then you are probably going to need to spend a little more. In general, the price range where you are going to start seeing a significant difference in sound quality is at around the £100 mark. You might be able to find a decent system for a little less, but this is where you start to get the bigger sound and some of the extra features. 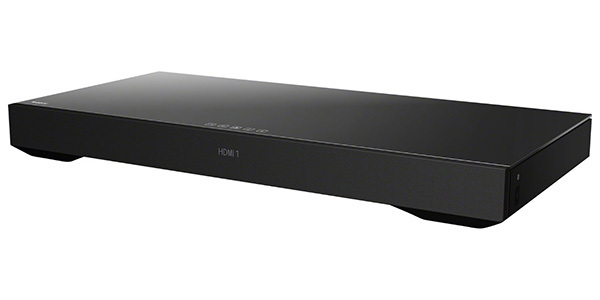 If you have the budget, you could spend over £1,000 on a sound bar. These are the models that will have the really big sound and the top of the line features. While these models at the top end of the market will provide great performance and an array of nice features, they tend not to be the most practical for people that are only looking to improve the sound for watching TV and movies. If you are considering buying one of these more expensive models, then you should look into the features and think about whether you are actually going to use the unit for these additional purposes. When it comes to the best value, that can vary depending on what you are looking for and the deal that you get for the system when you purchase it. In general, the best value for most consumers is going to come with the models that are in the £150 to £300 range. In this price range, you find models with a good amount of power, sound that is crisp and clear and a good set of features for versatility and ease of use. However, this is going to depend on the needs of the individual consumer and the quality of the sound bar that they are looking at. 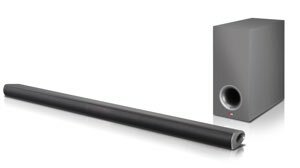 If you are tired of the inadequate sound that came with your TV, then purchasing a sound bar is definitely worth considering. 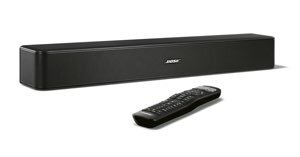 A good sound bar will provide the quality sound that you are looking for and it may even be good for a few other purposes. The issue comes down to finding the model that will best fit your needs. With the information on this website, you can learn more about how these systems work and gain a better understanding of the features. Beyond that, you can also read reviews for different models and compare them against each other. With each review, you will also find price comparisons from some of the most popular retailers. The idea of the site is to provide consumers with information and to help them make better decisions and to find better deals. I hope that we have achieved this goal and that you have found the site to be helpful in your sound bar shopping process. © 2019 SoundbarReviews.co.uk. All rights reserved.